Many prostate cancers, which generally are diagnosed in older men, are “indolent,” slow-growing tumors that aren’t destined to be fatal. But some tumors are prone to becoming aggressive and spreading beyond the prostate, making them difficult to treat and life-threatening. Currently, doctors have limited ability to predict which newly diagnosed tumors will progress slowly and which will probably undergo dangerous spread. In a new study, published online by Clinical Cancer Research, Dana-Farber scientists have found a genetic signature within prostate cancer cells that they say can predict which tumors are likely to metastasize. Through analyzing several datasets of prostate cancer cases and patient outcomes, the researchers found that a high level of expression of two genes, TOP2A and EZH2, was associated with early recurrence of prostate cancer and metastatic spread, leading to an increased risk of death. Only if both genes were overexpressed did the tumor exhibit strong metastatic potential. “Altogether, we found that high levels of TOP2A and EZH2 expression are consistently associated to the progression to a metastatic and lethal disease,” the researchers report. 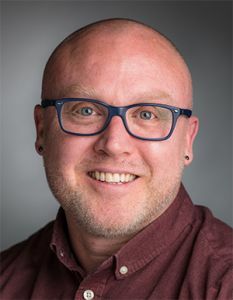 “While each of these genes was independently associated with metastatic prostate cancer, they have never been studied together in the context of early detection of patients with prostate cancer that will relapse after localized therapy with curative intent,” according to the authors, led by Leigh Ellis, PhD, in the Dana-Farber Department of Oncologic Pathology. The first author is David P. Labbé, PhD, who recently moved from Dana-Farber to McGill University to open his independent laboratory. These overactive genes not only may serve as a biomarker for distinguishing metastasis-prone prostate cancers, the investigators say: They also are vulnerable targets that may enable precision treatments aimed at blocking the effects of TOP2A and EZH2 activity, raising the prospect of preventing aggressive cancers from progressing to a metastatic state. Working with mouse prostate cancer cell lines in the laboratory, the investigators found that cells containing overexpressed TOP2A and EZH2 genes were highly sensitive to attack with a combination of two drugs. One, etoposide, poisons cells with high TOP2A activity. The second drug is an experimental inhibitor of EZH2. While the drug combination effectively killed prostate cancer cells in the laboratory, the investigators have yet to test this therapy in mouse models of prostate cancer to demonstrate their hypothesis that targeted treatment may intercept the progression of aggressive prostate tumors before they become metastatic. Other biomarkers and genetic signatures are being used in an effort to predict the aggressiveness of an individual patient’s prostate cancer, “but the current information doesn’t make it possible for their gene signature to be an actual target for precision medicine targeted therapy,” Ellis explained. He said experiments are under way to test the two-drug combination in laboratory models of metastasis-prone prostate cancer, leading eventually to tests in mouse models. Research support was provided by National Cancer Institute grant P30CA016056 and National Institutes of Health grants R21CA179907 and R01CA207757, and Prostate Cancer Foundation Young Investigator Awards.